Of course, as we all know all too well, the main idea of getting a shower at whatever time of the day is to feel clean and refreshed! However, different types of natural water that can come through the plumbing system in your home could sometimes be what is responsible for you not feeling as clean as you could do. Water comes in different types, two of which are hard water and soft water. Hard water is water that contains naturally large amount of minerals that have dissolved into it due to the surfaces and rocks that it naturally flows over throughout the course of it’s journey before it reaches the main plumbing network of the country. Soft water is water that has either fallen from clouds as rain as is thereby naturally soft since it has no surfaces to flow over and pick up minerals, or is water that has been artificially treated in order to ensure it is this way for whatever reason. In terms of showering and cleaning, the differences that exist between hard and soft water can be the difference in how clean you feel after getting out of the shower, and how it affects your skin overall! Throughout the remainder of this article, the idea that these shower head filters in order to combat this will be explored, including their advantages and the reasons as to why it’s worth buying a showerhead for your bathroom. 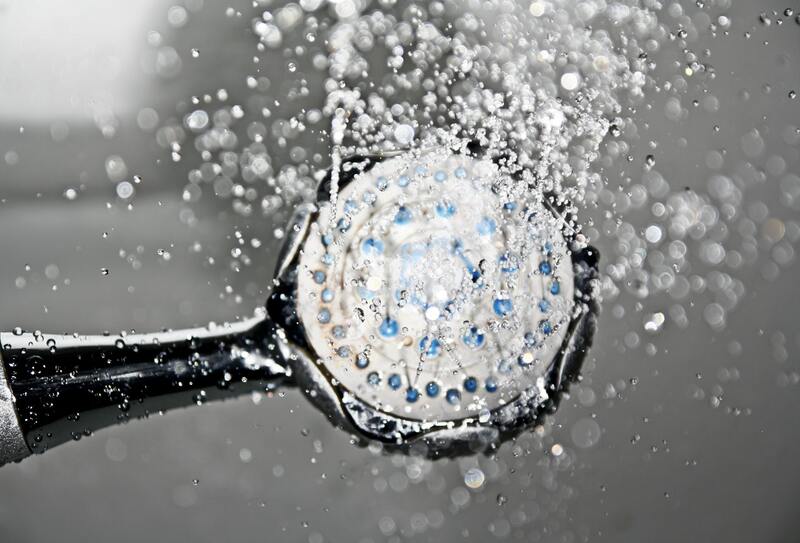 Minerals – if you purchase a showerhead filter, it will aim to reduce the amount of minerals and chemicals that are present in the water that flows into your home. The main aim of them is to lessen the volume of chlorine that is present in the water, as well as any heavy metals that is present in the water, and scale that is present in hard water. Scale can leave a strange feeling on your skin and can cause you to not feel as clean as you potentially could. It is also in many ways not as effective at cleaning as soft water. The reduction of chlorine in your shower water is never a bad thing either, in fact, it is quite the opposite. Chlorine is commonly known to reduce the levels of moisture that is otherwise present in your skin, and can result in your skin becoming dry – meaning conditions such as dandruff amongst other chronic dry skin conditions. Even if you do not have any of these conditions already, a showerhead filter can be without doubt a great way to go about preventing them from becoming a problem! Dyed/Colored Hair – hard, unfiltered water does not only have adverse effects on your skin! It can also cause your hair to lose color should you have dyed it artificially. The minerals and metals that are naturally present in hard water can have a reaction with the dye that is on your hair, and cause color loss. The minerals can also form a film-like collection on your head, and can affect your body’s ability to get the nutrients to the hair that it needs to be healthy.